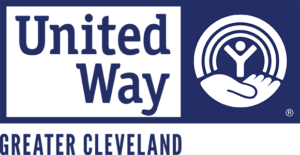 Joseph’s Home is the sole Northeast Ohio organization of its kind that provides acutely ill homeless men with transitional housing and also promotes healing and long-term self-sufficiency. Joseph’s Home will hold it signature fundraising event Thursday, June 23 at 11:30 a.m. at Windows on the River in Cleveland. The benefit luncheon—Perseverance in Hope—is being presented in partnership with the City Club of Cleveland. Dan Moulthrop of the City Club will headline the event and lead a panel discussion on homelessness in Cleveland. Dan Moulthrop was appointed CEO of The City Club of Cleveland in 2013. Prior to joining the City Club, he was co-founder of The Civic Commons, an organization promoting civic good in the field of social media. He’s an award winning journalist, a former radio host and high school teacher and a graduate of UC Berkeley’s Graduate School of Journalism.The event celebrates the remarkable healing and achievements of the men who have stabilized their health and transformed their lives at Joseph’s Home. Funds raised will provide meals, shelter and care for the residents of Joseph’s Home. The cost is $50 for general admission; $100 for patrons. Sponsorships are available and start at $500. 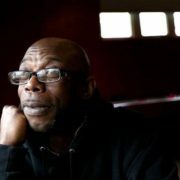 Joseph’s Home, a ministry of the Sisters of Charity Health System, empowers men experiencing homelessness and acute illness to heal in a nurturing, faith-based environment and achieve independence.